http://flevy.com/blog/wp-content/uploads/2019/03/pexels-photo-1496192.jpeg 500w" sizes="(max-width: 300px) 100vw, 300px">If you haven’t been marketing your business, you’re missing out on a great opportunity for growing your business, increasing sales and engaging your customers. So much of what goes on in your business depends on having an effective marketing strategy that you’d be mad not to give it the focus of your attention. Here are six reasons why it’s important for every modern business. The main aim of your business is, of course, going to be making money, and to reach that goal, you have to use marketing. If it weren’t for marketing far fewer businesses would exist because at the end of the day it’s what drives sales. There’s no denying that having a good product or service is important. However, if you don’t let people know all about it and how they can get it you’re not going to generate very many sales. Marketing aims to attract people’s attention and persuade them to make a purchase. There are so many ways you can market your business that there’s bound to be a strategy to suit you. Depending on your target audience you could use content or video marketing, mobile marketing, digital marketing, inbound or outbound marketing. Network marketing is another area worth exploring, and you can find out more by visiting tonivans.com. The modern consumer likes to feel important, and while face-to-face interactions used to make up a large part of consumer engagement, it’s not enough anymore. With the help of marketing and a strategy that provides them with content, you can keep them engaged long after your store has closed and after they’ve made a purchase. It’s all about creating an effective relationship with your customers and marketing is one of the best ways to do it. For a business to flourish, it needs to maintain a healthy relationship with its customers. You want your customers to stick around and continue to do business with you. Marketing isn’t meant to be a onetime fix. It’s meant to be something you work on constantly and use to keep your customers informed and engaged. The world of business is a very competitive one and filled with companies both big and small. Thanks to marketing and the fact that it doesn’t have to be expensive, small and medium-sized companies can compete on an even playing field with the big boys. 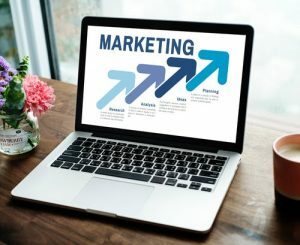 It’s even possible for marketing to give the smaller business a bit of an advantage because they’re able to direct their attention to individual clients and improve the customer experience. As well as using marketing to sell, you can also use it to keep your customers informed and increase their knowledge. It allows you to give your customers more information than ever before and help them understand what your product does and how it works. Do it in a fun and interesting way, and you’re increasing customer engagement and adding value to their experience. If you want to ensure the growth of your business, you have to embrace marketing and use it to your advantage. It’s a way of securing the future of your business by engaging both new and old customers.